Now that the beach season is over, it’s time to take care of sun-damaged skin. In fact, most skin cancer is caused by too much exposure to the sun, nearly 86 percent of cases, according to the Skin Cancer Foundation. Skin with sun spots and age spots can become glowing, fair skin with the help of rice milk soap. The soap, when used regularly, helps even out your skin tone and lighten scars and dark spots. The key ingredients in the rice milk which are responsible for skin lightening are ferric acid, para aminobenzoic acid and allantoin. They act as a natural sunscreen. The rice milk contains a B vitamin derivative called phytic acid which prevents hyperpigmentation. For sunburn relief, make a batch of soap mixed with turmeric. The moisturizing effects of rice milk are beneficial to your beauty care by helping to smooth out wrinkles and skin problems associated with dry skin. The rice milk seals in moisture and hydrates your skin without using excess oils. Even better, combine a rice milk soap with honey and lather it on your face to treat blemishes. There’s no need to use a separate body scrub when using rice milk soap. The phytic acid breaks down dead skin cells which makes it a natural body scrub, exposing younger, smooth skin. Slow down your aging and wrinkling with the natural antioxidants found in rice milk soap. Gamma oryzanol and vitamin E neutralizes free radicals and helps maintain your natural, youthful, tight skin. Gamma oryzanol is also great for alleviating and repairing irritated, itchy and damaged skin. 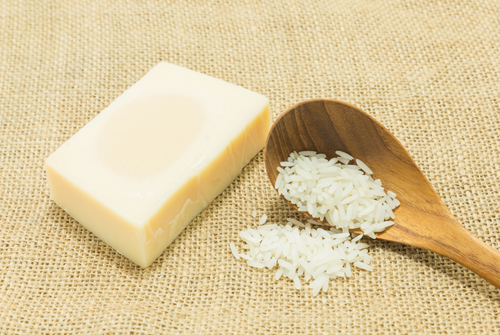 There are several ways to make your own rice milk soap. We found recipes on Pinterest, Seasons Bath and Body and The Nerdy Farm Wife. There are also several YouTube videos with demonstrations. 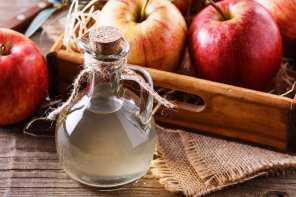 Some of the easier recipes use a soap base while others use lye. There are hundreds of recipes that incorporate natural ingredients like oatmeal, cinnamon, turmeric and rose oil. Regardless of the recipe you use, the main ingredient, rice milk, is a beauty secret that must be told. Each method has pros and cons and variations.